Ten Frames Math School Edition by Tapfun Inc. 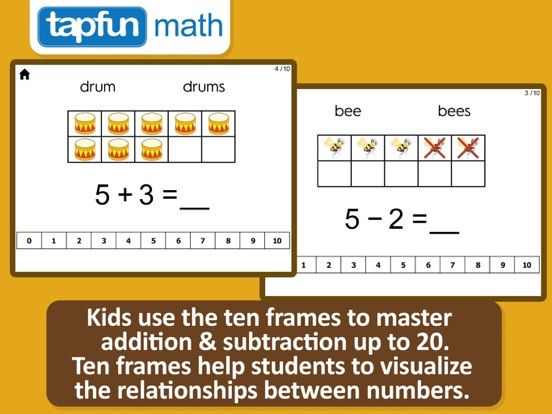 Ten Frames are the perfect math manipulatives for early elementary classrooms. In this app we’ve built an interactive ten frame so that your students can develop their number sense while on the iPad. 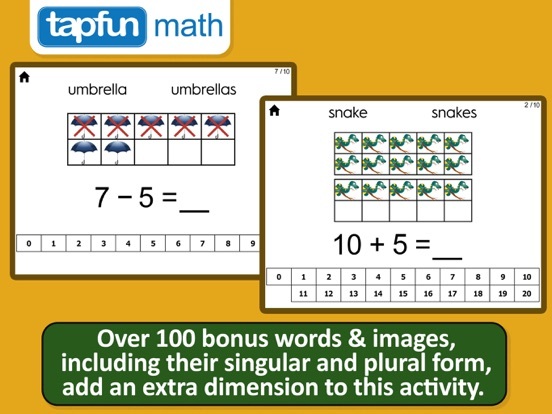 This app includes addition and subtraction questions up to 20 with over 100 bonus words to help develop vocabulary. Fun optional games at the end of every level provide a fun 60 second surprise for your little ones! 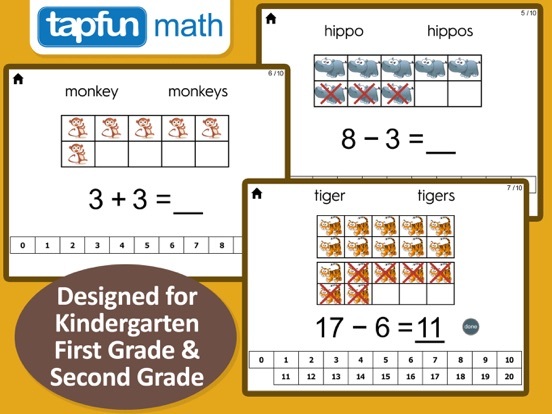 This is ideal for Kindergarten, First Grade and Second Grade. 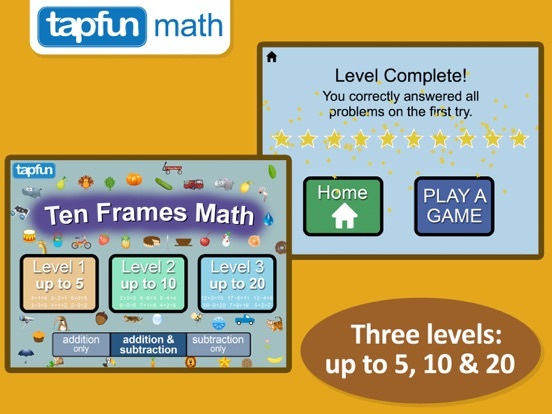 For the following 3 levels (which align to the common core), you can select addition only, subtraction only, or addition and subtraction. 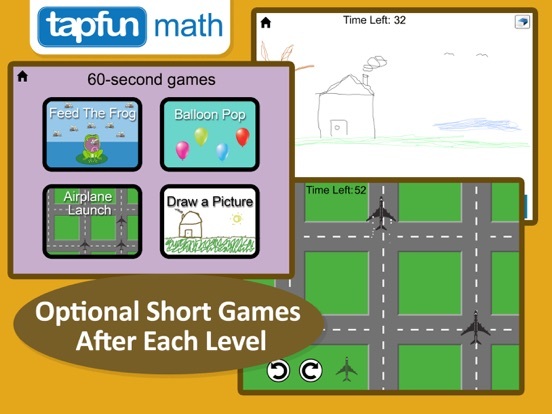 If you are interested in joining our app evaluation program for your classroom, please register at tapfun.com. If you run into any issues, have feature suggestions, or just want to say hello, send us a note at tenframes@tapfun.com or on twitter @tapfun Thank you!